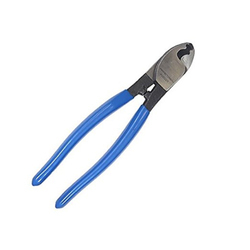 The cutter has steel construction with case hardened pins and hardened ground tool steel cutting blades and 'U' blades. Supplying and Dealing in Wire, Rope or Cable, Ship chandlers, Shipping companies, Electricity board, Railways, Nines, Dam sites, Construction projects, Electrical contractors, in Cable laying etc. In order to retain our goodwill in this industry, we are providing an array of Power Cutter. We hold expertise in offering H&P p/HCT-300, which is a tool that is used in wire and cable industry for various uses. 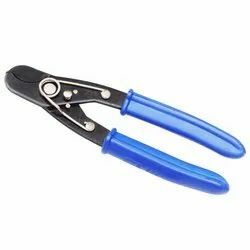 This tool is manufactured using high quality materials that ensures good gripping of the wire and high durability. Designed as per the set industry standards the tool can be bought at market leading prices. Power cutters are widely used in different industrial and construction applications. Different power sources can be utilized to power these products. Our offerings offer greater precision, ease of use, sheer muscle power and real efficiency. Our products feature all the latest technological advancements, such as sharp blade, better centrifugal air cleaning systems, etc.